I’m off campus at the moment, far off-campus, on the Yucatan Peninsula of Mexico. I am participating in an NEH Institute along with 23 other professors of various topics from across the U.S. 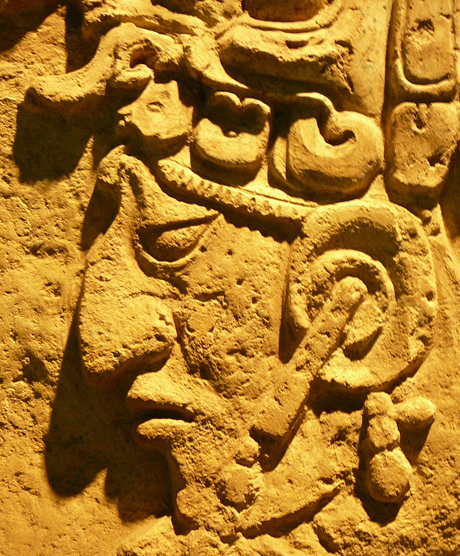 The NEH (National Endowment for the Humanities) and CCHA (Community College Humanities Association) are co-sponsoring a five-week study tour of the Maya world. We will be met at archeological sites by some of the foremost scholars in the field. I’ve read six books on the Maya in recent weeks; that’s less than half of my assigned readings. I’ve learned that I have a lot to learn. When I get back to Kutztown University I will have new insights on the art and iconography of the Maya to share with my Historical Survey of Graphic Design Class. I will also be giving a public lecture on this scholarly adventure at Rohbrach Library in October. I’ve long been interested in this part of the world. In the mid-1970’s I drove a Toyota Corolla from New Jersey to the “Lost City” of Tikal in Guatemala. That was some hard traveling. This time we will be traveling by bus and river boats. It may not be possible for me to get access to the internet. I know I pledged to update the blog weekly, and I will do my best. If you send comments, be patient, I may not be able to reply in a timely manner. < Previous Get Creative: Try a Cool-Off!